Sending Reiki energy is possible because energy is not confined and can transcend space and time. 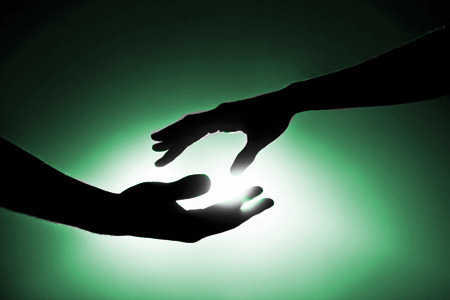 Reiki Distance Healing is the practice of sending healing energy towards an individual, group, event, or situation in the past, present or future. You may experience light tingling, buzzing, heat, or coolness in different parts of your body. All of this is natural and is a sign that your energy body is realigning and purifying itself. You may also experience an emotional release during the remote Reiki session. Let the emotions rise and leave – this is very normal. Some people experience a deeper sense of relaxation. Whatever happens during your session, know that it is exactly what should be occurring in that moment. Distant sessions are conducted in my office after receiving payment in full and scheduled at a time convenient for you around my other clients throughout the day or evening. During your session, you don’t need to do anything special to prepare. I always suggest the client lay down or meditate during the time I am working with them. I treat my distance clients as if you were on the table in my office. Your 45 minute session consists of 30 minutes of Reiki energy being sent and 15 minutes of follow up to discuss the session. We can follow up via phone call or I can email you a report of my findings. When we schedule your session, please send me a photo of yourself. It is also helpful for you to share with me any areas of concern that you would like me to focus on during your session such as emotional stresses, physical ailments, sadness/depression, etc.